Have you ever wondered why it seems like today’s vaccine schedule is a bit different than when you were a kid? Well you’re right. I grew up in the 80’s, and the difference between the number of injections I received vs. today’s recommended number is mind blowing…MORE THAN TRIPLE!!! Its odd that the recommended schedule went from 10 shots in 1983 to 36 shots in 2019. 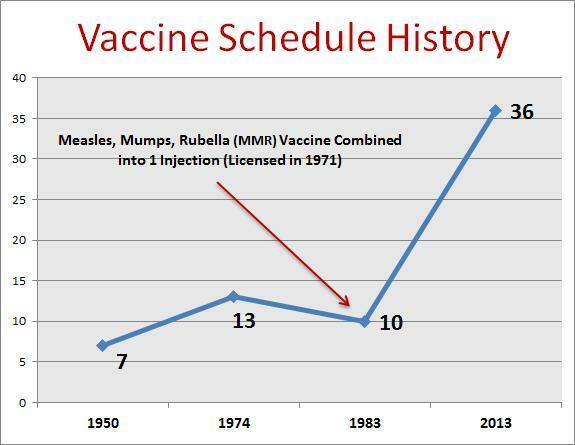 You would think that such a radical surge in vaccinations would be in response to major waves of outbreaks or some new life threatening diseases. Nope. None that I recall or can find through research. True, there have been some new vaccines to hit the market since 1983, but not enough to justify 26 additional shots. This short article from vactruth.com gives a very good visual breakdown of the history of vaccines from 1950 through today. Quite unbelievable. In 1950, your child would have received 7 vaccines by the age of 6. Let’s fast forward to 2013. If you follow the Centers for Disease Control and Prevention (CDC), American Academy of Pediatrics (AAP), and American Academy of Family Physicians (AAFP) endorsed annual childhood vaccine schedule, your child will receive over 36 vaccines by the time they are 6 years of age! Will you over-vaccinate your child? 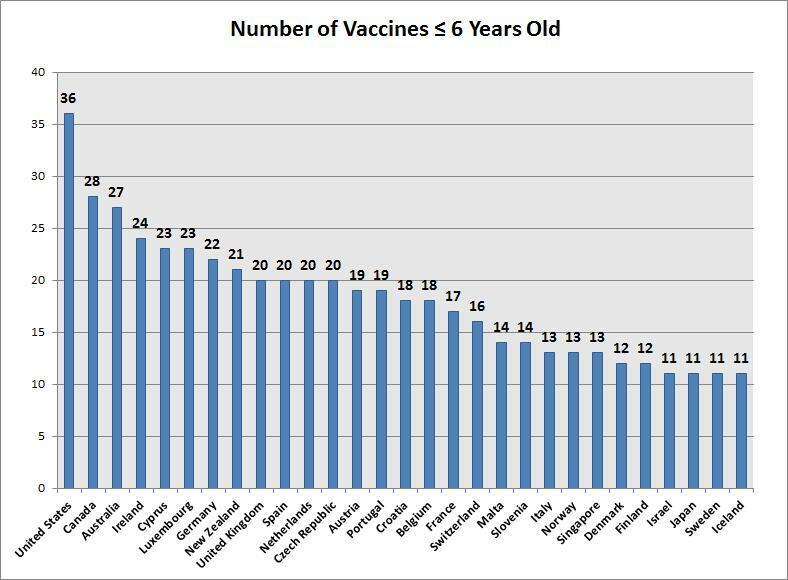 Before you see the dramatic increase in the vaccines given to children, please take a look at how many vaccines are given to children in the United States compared with other countries around the world. Merck Manual 8th ed. Basic Immunization Schedule – Optional Schedule No. 1. 1950. pg. 1462.